This scandal is not just about the IRS targeting Americans to deny them tax-exempt status or subjecting them to harassing retaliatory audits. The IRS also leaked to left-wing reporters the confidential application information submitted by conservative groups. These Obama administration scandals are a sad and stark reminder that only limited government can ensure liberty. At our core, we Americans just want to be left alone to live freely, peacefully, and productively. Last year the Obama campaign told us that government is something we all “belong” to. I guess they’re right because when the government is powerful enough to target, intimidate, and harass us, we do “belong” to them. The real question is: Will we stand for this? This entry was posted in Christians/Christianity, Conservatives, conspiracy, Constitution, crime, First Amendment, IRS-gate, Liberals/Democrats/Left, Obama, Obama's America, Police state, Taxes, United States, US Presidents. Bookmark the permalink. It was Obama who appointed Czars over every department to make sure he knows everything, and it was Obama who started the snitch program to rat everyone out among friends and neighbors. And now Obama says he did not know about the IRS targeting conservative groups for the last four years but only heard it on the news like everyone else. You would have to be mentally deficient to believe that. Sarah Palin isn’t going away! Sarah Palin speaks to American/Alaskan values that we hold dear here in the Greatland.Values that are,sadly,being eroded in the lower 48 on a daily basis by the corrupt,Stalinist (insert swear word/words) ‘s that are running/ruining our republic.It is,indeed,time for a change. From a BBC docudrama recreation, but Orwell’s own words: Don’t let it happen. as obama tries to turn america into north korea. a 3rd world country waiting to happen. 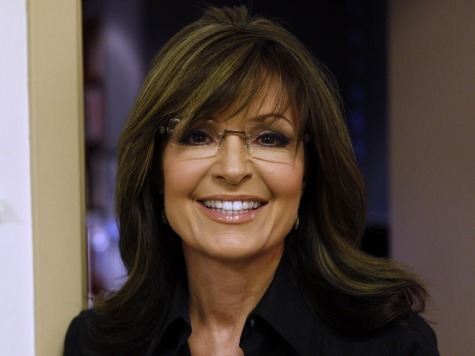 Sarah Palin, is America’s savoir!